Cawdor Castle was the setting of Macbeth – image from Lecardinal & shown through creative commons license. There’s an age-old idiom which we still use today and which goes something like this: “You cannot see the forest for the trees.” The meaning for most of us is plain; we tend to be too close to a problem to actually grasp the scope of it. Shakespeare played on this saying somewhat in Macbeth with Birnham Woods where the forest is seen moving but the detail of enemy actions cannot be discerned so that Macbeth is at a loss to make effective decisions. The saying is very apt for a writer. Perhaps an even more apt comparison would be that of going snow-blind to your own writing. We need to create distance and I do this for myself by converting my various draft versions to .epub to read them. But this distance is still not enough so I turn to a few readers for developmental feedback. Finding flaws overwhelms a writer’s perspective without other sets of eyes, critical eyes to be specific, on the work to ferret these from the background where they hide. I became serious about my writing about five years ago and, since that time, employed a few different kinds of feedback. Additionally, over that time my skin has gotten thicker regarding such feedback so that I can better use the helpful criticism to improve my writing. There are several kinds of feedback which an author will receive or should seek out. Reviews are the most common, but are the reactions to your hard work after publication. Every author should develop some sort of thick-skin toward reviews and be able to sift through those which are helpful and those which aren’t. Promotional image of The Man Who Invented Christmas. However the developmental forms of criticism are the ones that you should seek out while you’re crafting a book. 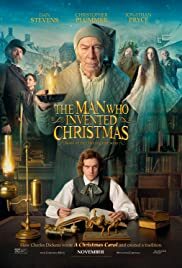 For instance, it is portrayed in the recent movie, The Man Who Invented Christmas, that Charles Dickens sought out some readers for their reaction. It was humorous to see that the reactions he got most often involved avoiding Tiny Tim’s death and provide Scrooge a chance at redemption. I don’t want to spoil the movie any further but it was very illustrative to me as a writer. There are various ways to approach developmental criticism. You can join a critique group in which you will participate in providing versions of your work for other writers to critique while receiving there’s to provide a critique of your own. These groups of writers are normally formed around similar genres, such as science fiction and fantasy, mystery, and others. I have not taken part in critique groups due to time constraints. Because of my lack of time, I seek out different kinds of critical developmental reviews. These include alpha readers, beta readers and paid editorial services. Each one of these types of feedback taught me a great deal more about writing and how to approach the entirety of constructing a book. Sometimes it’s easy to put together a book such as when I wrote The White Arrow. At other times when you’re working from scratch it will be a much longer process, one which I’m going through with several books right now. With this development in mind, I’ve turned to several readers for some developmental feedback. Normally you would use alpha readers for the beginning stages of a book so that they can give feedback about which aspects of a book works and those that don’t (Dickens is a good example from above). For instance, with The Bow of Destiny my daughter read the opening five chapters or so and told me that the book needed something like a dog. This led to the character, Spark, which is a dog will that only the main character can see. The character actually became a rather popular one and also helped develop some of the subplot around the main character of Athson. Beta readers tend to read and review your book much further along when you are closer to publication. These are the readers who are going to provide much of the final feedback which will help you smooth out your book. I haven’t always gotten to spend a lot of time with beta readers but I’ve had a few over the last five years who have been very valuable in helping me see any problems that I’ve missed. The other form of developmental review that I do employ consistently is the use of an editor. A good, professional editor will see many of your big problems and point them out so that your “snow blindness” will be cleared. My own editor has been very helpful in getting me to see the proverbial forest clearly as well as getting down to the individual trees within my own books. Here’s a good example of how I’m currently employing some critical review of my work. I’m currently editing a book code-named “Mage” and I’m at a point where I do need more sets of eyes to provide feedback. I’ve turned to a number of people including a couple of authors here at Story Empire. This is where my thick-skin as a writer comes into play, but then, I’m also approaching writers who will give me solid observation so I’m asking for solid criticism – I need it! “Mage” is actually in several points of development so I’m getting alpha and beta feedback at the moment. Depending on what happens with the manuscript over the next several months, it will be edited by a publisher or my own editor. Either way, it will receive several rounds of developmental feedback until it is ready for release. Over that time, I’ll begin to see the forest and the trees as the appropriate criticism continues. Near the point of the book release, I’ll work to employ advance release reviews to launch the book. This week, the beginning of “Mage” is being read by Craig and Staci and their feedback will be instrumental to thoroughly develop the beginning. However, this feedback will also set the tone for the rest of the book as I work through the various stages of editing. Perhaps we can share more of how these processes work in the future, but I’ve already gotten very insightful feedback which helps direct my efforts. It’s invaluable assistance and one that we try to use in our little group depending on our schedules. I was happy to help Craig by serving as a late beta reader for his recent book, The Hat. Likewise, though I was a little late, I’ve also been an early release reader for Mae’s Cusp of Night. The importance of feedback at various points of writing and editing cannot be emphasized enough. Developing relationships for this feedback is extremely valuable for every author. Charles Dickens needed it for A Christmas Carol (which was self-published) so we all need it too. If you are just starting out, the tendency is to avoid feedback because you lack confidence but if you will seek out truthful help and understand that feedback is helpful, then you will progress well and learn to handle real criticism with a sense of professionalism. How have you gotten developmental feedback for your work? Have you ever been part of a critique group? Have you learned to received honest feedback? Thanks for reading today. Please leave your answers and thoughts in the comments section and I’ll get back to you as soon as I can. Great post, P.H. I’ve been in a critique group for a number of years (having co-founded it with a friend). I’ve also used beta readers and have critique partners. Whereas my critique group members write in various genres, including some non-fiction authors, my critique partners write fiction and similar stories. I also have a friend and co-worker to beta read my last novel and is currently reading my WIP. He’s not a writer, so it’s interesting to receive feedback from a reader’s perspective. It’s good to use various kinds of readers to understand what reactions you have and correct for as many issues as possible before publication. Glad you liked it, Joan. As a novice writer, I learn so much from following fellow experienced writer’s blogs. This is a prime example. When I was taking some online writing courses, I attended a critique group hosted by our regional library. The moderator was excellent but the individuals attending thought they could write but had no basic talents or the desire to learn. I dropped out after several weeks of frustration. Recently I have found a self-hosted group meeting and I intend on investigating. I hope this one will have some talented writer and I can gain some honest critique on my work. Thanks. Great! Thanks for visiting our site today. Hope the group goes well. Otherwise, keep trying and if you have to find a critique partner. This is a great post, P.H. What we don’t need, as writers, is a cheerleading section. We need honesty and that’s where the thick skin comes into play. Thanks for this honest and helpful post. You are welcome, Jan. If you’re going to be a professional, you have to take your lumps sometimes! This was an awesome post, P.H. I’ve belonged to various critique groups over the years, but started working one-on-one with a critique partner about 18 years ago. She passed away after 12 years of working together. I thought I would never find her equal—someone who not only could be critical with my work, but was also an invested friend. It took several failed attempts before I finally connected with someone like I did with Karen, but I’ve found that perfect fit again and now another friend has joined us. Critique partners are gold. For me, I like to work out the kinks and problems as I write, which is why I prefer CPs over beta readers, but I think it comes down to whatever works best for each author. The key is to solicit feedback and listen with an open mind. I’ve also got to see The Man Who Invented Christmas. A Christmas Carol is one of my all time favorite stories. I had forgotten about that movie. Thank you for the reminder. I’m going to have to chase it down! I’d like to find a CP at some point but it’s more a matter of time these days. If there are any fantasy writers out there with the interest, just contact me and we’ll talk. Enjoy the movie when you get a chance. I learned from it as much as I was entertained. I’ve sought help from different sources over the years—critique groups, critique partners (big difference between the two), alpha readers, beta readers, editors. One thing remains the same. You have to judge the value of the comment (which kind of goes hand in hand with the quality of the commenter). For me, a comment from someone who reads and writes my genre will always hold more weight than a comment from someone who doesn’t, because they are more likely to know what I’m trying to do. That doesn’t mean I accept their suggestions blindly, nor does it mean I ignore comments from people outside my genre. You never know where a brilliant insight will come from, nor can you just assume a comment from your go-to reviewers will be “right” for you. I try to keep an open mind (and a guarded heart, because, let’s face it, critiques can hurt) and carefully evaluate every comment. The more you seek feedback, the faster you get at separating the wheat from the chaff. But if the feedback is constructive, whether you take it or not, your writing will improve. At least, that’s been my experience. Agreed about genre, Staci. I take a good editor’s advice as gold, all else must be weighed carefully. At the moment, I’m so busy, I push aside all but the meat of the matter for later consideration. The book isn’t so far along that I won’t listen to all kinds of response so I understand what readers expect and what turns them off. There’s a balance and the current feedback helps me understand that so I can better approach development editing for best effort. When I got my first response from my editor, it was hard to read but I knew she hit on all the weaknesses and problems. It was just what I needed to hear but I had to learn to get past hearing criticism to improve. I can always improve so I need it wherever I can get it. Staci, you are right. There’s a big difference between a critique group and critique partners. IMO, the partners provide much more valuable feedback, although I’ve also had good experience with my group. I’ll have to look into a CP when I get a chance. Staci, I’m with you on the group. The only reason I’m staying now is that I was one of the founders. I appreciate everyone’s feedback and some of them I call friends but I’m not sure how beneficial it is to me at this point. Love my critique partners! I was part of a critique group for years. I learned a lot from those guys. I also helped a few of them raise their game. Critique groups will thicken your skin. Sometimes you’re the bat, sometimes you’re the piñata. They all drifted away, but I also feel like I graduated. I don’t feel the need to create a new one today. An interesting take on the life cycle of a critique group, Craig. If I had the time I might participate in one more just for the added experience. And thanks for the recent feedback. It’s very helpful so I know what needs targeting at this point. Time to roll up my sleeves and dig deeper into this WIP! Perhaps we can discuss more of this type of writing work in future posts. That’s a good idea. Maybe we can do a post together. Yes, sounds like an idea. Check out P.H. Solomon’s post on the Story Empire blog on the topic of seeing the forest & the trees. I have a few people I give my books to before publishing. The thick skin statement actually makes me a little twitchy. In college and early in my publishing attempts, people used the phrase to get away with insults and to stop me from debating a suggestion. Came off more like it was a verbal weapon to get an author to lay down and take abuse. That’s just personal history though. The sayings of authordom all get abused from what I’ve seen. Honestly, my writing style makes it difficult to get beta readers at times. Present tense gets mistaken for being full of typos, so there’s a lot of confusion if a reader isn’t ready for it. First person is difficult for readers and I’ve used it myself on occasion. Many seem to confuse it with a POV change when I use it for a shift the state of mind. I agree that some don’t really know how to approach critique well and veer into unhelpful terrain. Criticism should be taken with a grain of salt but sifted for what’s helpful. A good editor can teach sometimes more than a critique group or alpha/beta readers. But all have their uses. Thanks for the reply. I remember my writing classes in college had days where people read the work of one student. That author had to sit silently while they discussed the writing. It was supposed to thicken our skin and get us used to criticism. It did work most times, but I remember that there was a flaw. The other authors would talk about how they would write the scene. This might be an easy trap to fall into when using other authors as beta readers. We don’t always think outside our own style. Excellent observation, Charles. I’ve got a few other beta readers who don’t write, but who can be rather critical. One of the best pieces of advice I received from a short stint in a critique group what to use deep POV. I had to study the technique and still haven’t mastered it. But the advice took me a lot further. Never heard of deep POV. How does it work? This is a good start for an explanation. Thanks Harmony. Glad you found it useful. It’s important to accept difficult responses before publication or you will hear much worse. It’s good to get some different view points to round out the work properly.